On behalf of Iraq and Afghanistan Veterans of America (IAVA) and our nearly 400,000 members and supporters, we would like to extend our gratitude for the opportunity to share with you our views and recommendations regarding these important pieces of legislation. 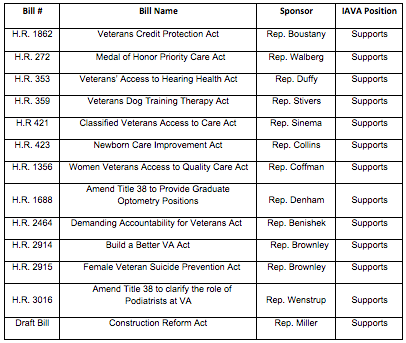 IAVA supports each of the bills before this subcommittee today. The subcommittee has done yeoman’s work on these worthwhile pieces of legislation. Having established that, I would like to focus my comments on two areas our membership deems important. As I sit before you today, Mr. Chairman, I urge action on: (1) enhancements to the care and services we provide our female veterans; and (2) restoring trust at the VA by getting real accountability processes in place. Just over a year ago, the VA wait list scandal at the Phoenix VA hospital shook the veterans community. Whistleblowers came forward to reveal that some employees engaged in conduct that was unacceptable and Congress responded with the VACAA Act to empower VA to clean up its department. Health care access issues have seemingly improved through recent Choice Program legislative fixes; unfortunately, the issue of accountability still looms large. While it is unfair for the whole of the VA to get painted with the broad brush of failure or wrongdoing, its employees need to see that there are serious consequences for those who fail in their sworn duty to aid veterans. Only through the accountability bill introduced by Chairman Miller will the culture within the VA change, employee pride be restored, and veterans once again receive timely and accessible quality care. At IAVA the quality and timeliness of health care for our nation’s female veterans receive is a top priority. I should note that while 12 percent of Iraq and Afghanistan veterans are females, at IAVA, we’re proud that female veterans make up almost 20 percent of our membership and 35 percent of our leadership. According to the VA, 57 percent of Iraq and Afghanistan female veterans seek care from their facilities. However, the VA is failing to provide some of the most basic of fundamental female health care services. While the VA has made some progress in this area, there are still VA facilities without gynecological services, or private exam rooms and check-in areas. With their problems in mind, over the past six months our team conducted a one-of-a-kind nationwide tour, where dozens of female veterans from nine cities spoke to us about their issues and concerns. We learned that VA care is continuing to improve and evolve. However, with the complexities of the wounds and healthcare challenges our women veterans face, VHA’s services must continue to stay ahead of the needs of our community. IAVA field coordinator and U.S. Army veteran Tracey Cooper-Harris recently reflected on her experiences with VA healthcare, citing an overall satisfaction with the care she received despite, on occasion, male patients doubting the authenticity of her veteran status simply because she is a female. 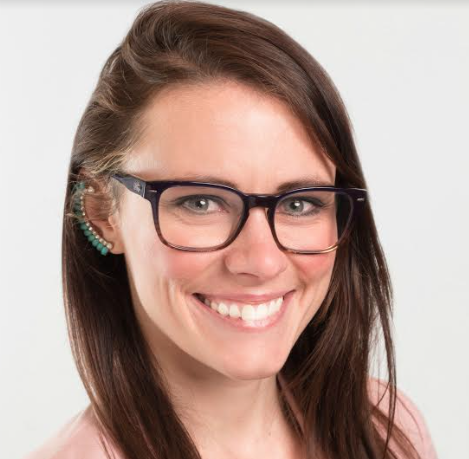 Her experience within the VA system is a testament to why it is so important to continue to keep our ear to the ground and make certain VA receives feedback from our community regularly. IAVA continues to engage our women veterans and rely on the experiences of those members who call into our New York City and California-based Rapid Response Referral Program (RRRP). These members share their healthcare experiences and look for ways to get help from our clinically licensed staff and veteran transition managers. Our direct-service RRRP program is just one of many ways we engage our members in order to make sure that when we testify before this Committee, we have the on-the-ground perspective of the veterans we all want to serve. At IAVA, our members know we have their back. In order for Congress, the VA and the veterans community to continue to support them as best as possible, we need to listen to their voices and finally get accountability reform signed by the president this year.